Weeding the garden. That's how I think of editing my prose—pulling up anything that hinders a beautiful array of flowers. In writing, those weeds choke or slow down the reading process. * Needless to say . . . Then why say or write it? * As a matter of fact . . . Occasionally I've seen it written: As a matter of actual fact . . . In the second example, I assume it's for emphasis, but actual and fact say the same thing. I delete words and expressions that mar the beauty of my prose. Teresa shrugged her shoulders. Not wrong, but if we want to use the fewest number of words, we write: Teresa shrugged. No one would think she maneuvered her toes. Another is stood up. Except for the military order of "Stand down," we don’t need to give directions for standing. We ought to be able to write, "She grabbed the boy by the nape." How many napes do we have? However, the single word doesn't feel right to most of us. English usage isn't always logical—but you probably knew that. "In the midst of all the Christmas merriment, Henry literally fell off the chair in laughter." I read that sentence in an article, but Henry didn't fall. The sprinkling of literally troubles me: To many people, that word has become a symbol for something beyond ordinary responses to events. LOL has become popular in tweeting and I often wonder if they really do laugh out loud. More likely, it means, "I thought it was funny." then I use appropriate words to express my meaning. We used to refer to "the economy of words," which means the same thing as write tight. The shorter our sentences, the easier they are for readers to grasp. One way to economize is to eliminate words that add no value. Really, very, just, and quite top my list. We use these words in oral communications and our voices add the inflection or emphasis. That doesn't carry through in print. They're not bad words; they're simply limp and useless. If they add no strength to a sentence, cut them. I eliminate any unneeded words. Here are FIVE things I have learned over twenty-five years of working with more than 1,000 authors that will help you make the most of your interview experience. viewing options than ever before. Be excited about your topic, your book, your organization’s mission. 2. Be aware. Be relevant. Be prepared. Re-read your book. Look for specific ways to connect to the host or audience. Do research about the media before being a guest. 3. Have a hook. Give people a compelling reason to respond and respond now. Maybe that’s a special offer. Maybe it is value-added component. Maybe it is connecting with a felt need that will help their marriage or finances. 4. Tell stories. People care more about your stories than they do about statistics or your opinion. Jesus told parables. People remember stories. 5. Give out your contact information. You might be surprised how many authors fail to do this even if a host does not ask for it. Let people know how to reach you, your organization, or get a copy of your book. While it seems self-evident, always be gracious to hosts or producers. Remember the story of Jesus healing the ten lepers. Just one came back to say thanks for the life-changing encounter. Be that one person. P.T. Barnum once quipped, “Without promotion, something terrible happens... nothing!” And without trying to be sacrilegious, even Jesus had a front man; John the Baptist prepared the way for Him. Why should you and I be any different with our own books in needing or soliciting help? The publishing world has changed drastically since I started my first PR agency in Los Angeles in 1991. Depending on the source you use, as many as 500,000 books are published each year in the United States. And as recently as 2012, self-publishing saw triple digit growth. You are a published author, so you know the often-painful process it takes to give birth to a book. I understand this process too. Even though I am a publicist, I made mistakes along the way. I thought if I just got an interview and just answered questions that people would want to buy my book. I was wrong. That didn’t happen. Not until I had already done 300 interviews did it occur to me that maybe I needed to do something different. Today, part of what I do for new authors is to give them ideas about what works or what doesn’t in the interview process. A few weeks ago I sat through a lengthy lecture with a number of anecdotes—and they were clever. But afterward I wondered why the woman told them. They seemed to have no direct relationship to the message or to us who listened. I see this in writing as well. So here's my principle: Whenever we want to insert an illustration in nonfiction or a scene in a novel, we need to ask ourselves questions. * Why am I including this? That is, what's my purpose? * What will my readers learn from this story or scene? * Why is this relevant to readers? * If I left out this scene/illustration, would readers notice? As we know, many people seem to tell stories just to tell them. But when we ask why people share (and listen to) stories, there is an objective. It may be to encourage or inspire or cause readers to think differently. But there is still purpose in the telling. * Why is this relevant? * What’s the moral or point? We end with a strong takeaway. When we choose to tell a story, unless we're doing it only for entertainment, we give our readers something to make them ponder—even if they ignore the meaning. Novelists of earlier times often addressed readers and told them the message they wanted them to grasp. As a child, I enjoyed Aesop's Fables because each story ended with a lesson for life. These days our writing needs more subtlety, especially in illustrations or short pieces. If you've crafted a first-person story, you can say, "That day I learned . . . " Readers automatically transfer the "I" of the author to themselves. Most of my blog entries present a takeaway, even when I'm not telling a story. I try to keep the words simple, direct, and easy to remember. The principle is the same: Leave readers with something they can take from our writing. Or another way to say it is: We reward them for staying with us. it also enriches others' lives. We build toward a meaningful climax. I'm still using my opening sentences from Part 3 of this series about Dad and Christmas. If this were a novel or a short story, I'd set up the tension—slowly—and show the problems and hardships the family suffered—perhaps the loss of his job. Maybe their house burned and they had no insurance. What if someone had broken into their home and stolen all the presents and their money? The previous sentences build the tension (the problem or conflict). Part of the building in any good story is to start with a problem. Instead of solving it, intensify it. All the while, we're moving toward the climax. We start resolving the issues. Think of it as a ball of string. We unwind by resolving the last-mentioned problem and move toward the center. The initial problem (no Christmas presents) is the last one to solve. Thus, once we set up the initial tension, everything else—including more conflict—propels us toward the ending. The solution. The resolution. The answer. to push readers to the climax. Occasionally I read an illustration that refers to the girl or the man. We go along for two or three pages until the author says, "Her name was Cynthia and this is my story." No one cares about Cynthia, and withholding her name doesn't add anything. For eight years I was an inmate in a state asylum for the insane. During those years I passed through such unbearable terror that I deteriorated into a wild, frightened creature intent only on survival. I was raped by orderlies, gnawed on by rats, and poisoned with tainted food. Her opening arouses emotions. She puts readers right in the middle of her pain. She didn’t clog the writing with dates or reasons for her incarceration. She saved lesser details for later. That makes good writing. that's the best way to start a writing project. Will There Really Be a Morning? By Frances Farmer (New York: Dell Publishing, 1982) p. 9. We need to build suspense. Many writers don't get this simple principle about building suspense: It means we withhold significant information to build interest. Recently I read a manuscript and the first three paragraphs told me about a waif who was abandoned by her father and emotionally abandoned by her mother. Paragraph 4 begins, "I was that child." My response: Who cares? She told us many facts, but she didn't involve us emotionally in her story. Had she started with herself, she might have made us care. By building tension, we nudge the reader onward—something that makes them want to know more. What happens next? In the third blog of this series, I used this opening: "We won't be able to celebrate Christmas this year." With tears in his eyes, Dad turned his face away from us. Let's build on those two sentences and add suspense. Dad stared at his hands. "I wanted . . . I wanted to make this a special Christmas . . ." He didn't need to say more, because we understood. What have I done? I've withheld the detail that you want to read. Why weren't there going to be presents? Why the teary eyes? I built on that by showing the broken heart of the father. Then I added one more significant detail: "We understood." No presents at Christmas and we understood? Our pastor told meaningful, personal stories every Sunday. And they were fine illustrations. But I got tired of them because he was always the hero, the person with exactly the wise word, and he never failed. Years later, on my fifth Sunday as a pastor, I said, "I was so angry, I lost control" and described my bombastic actions. After the service, Margaret Calloway rushed up to me, embraced me, and said, "Thank God, we have a pastor who gets angry and fails like the rest of us." Her remark changed my style of preaching and later, my writing. Readers assume we're somewhat successful—or why are we writing? When we tell only of our achievements, we do harm in two ways. First, we imply we're above failure and therefore better or more mature than they are. Second, we imply that they're inferior because they struggle over issues that don't trouble us. I fail often—but I keep trying. That concept tells readers that I'm one of them. Too many writers feel they have to write an overwhelming, cataclysmic statement with powerful verbs. That rarely works. When we tell a story, think of taking the hand of someone and saying, "Let's walk together." We want to interest them, not overwhelm them. If we can start with a simple statement that presents tension (a problem), that's all we need. I couldn't understand why the Africans didn't remember their kindness toward me. I used twelve, easy-to-grasp words. In that article, I told of my return to Africa 15 years after I had lived there. We don't want to overwhelm them with big, overstuffed words; we don't write to impress. We want to communicate. We do that by showing respect for our readers and their need to be involved in the story. I focus on telling a good story that readers grasp. Within the past several years, I've published five compilations. The submissions arrived, and I rewrote them for a consistent tone and voice. 1. "It was the saddest Christmas of my childhood with no food and no presents until an angel named Harry Reeves brought us a large box on Christmas Eve." 2. Many patients die during surgery, rush through a dark tunnel, see a brilliant light, then find themselves at the pearly gates. I suffered from cancer, was pronounced brain dead, and found myself in the company of angels. In both instances, the writers summarized the story in the opening sentence, so why would I want to read them? Good stories grab my attention and emotion with the first words and beguile me with what lies ahead. "We won't be able to celebrate Christmas this year." With tears in his eyes, Dad turned his face away from us. I like to think of beginning sentences as earning the right to receive readers' attention. Readers owe me nothing—so my first task is to interest them enough that they'll continue to read. Good beginnings entice readers to continue reading. "I want to hug readers with my words." That's how my website begins. For some, that statement might sound too subjective. Think of the act as putting our arms around a friend in a corner of a noisy room, lowering our voice, and speaking directly to that person. Some writers describe that as writing to a specific type of person. As we write honestly, and with our own voice, we can hug our readers. Not everyone writes warm, loving words. We can write objectively—if that's who we are—as long as we write to draw in our readers (or hug them) with our words. But regardless of our style, we can embrace our readers. 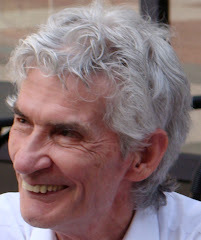 Here's the way I started my monthly newsletter shortly after my wife died: "I can think of nothing more difficult than giving someone permission to die. You may have to do that." The response told me that my words hugged many readers. And I wasn't trying for sympathy or pity, only to help them when they faced a similar situation. By reaching out to their needs, I hugged them. Good writers tell good stories. That's the simplest way to say it. It doesn't matter if we're writing nonfiction or fiction—the principle is the same. A novel is a series of stories collected in one major story. We need to think of each scene as a story. If we write nonfiction, illustrations make our prose readable. I caught on to the importance of that years ago when I found an old copy of Norman Vincent Peale's Power of Positive Thinking. That book, first published in 1952, remained a best seller for decades, and a number of older writers referred to him regularly. Every chapter gave a principle, but he wrote two or more stories to illustrate. That was insightful for me—and that was 40 years ago. Today, a nonfiction writer who can't tell good stories rarely sells. sometimes better than stated principles. 1. Book editors also read magazines. Several friends wrote their first book because an editor read an article, contacted them, and said, "Could you develop that into a book?" I published well over a hundred articles before I ever wrote a book. In fact, my first book came about because of my published articles. One day, an editor called because a friend told him I was a good writer. He learned that I was writing articles on prayer, and asked about them. I explained the content of two or three and he liked what he called my creative approach. "Could you write 30 of them as a book for us?" That became my first book. 2. The statistics are against beginners having their first book accepted for publication. Experts say that new writers have about one chance in 500 (or some say 700) in getting a book published. It’s easier to become published in magazines or ezines. Writing articles is an excellent form of on-the-job training as we prepare for books. 3. When we write articles, we attract a larger audience. The experts tell us the average first book sells about 5,000 copies. Small Christian publishers smile when a book sells more than 3,000 copies. By contrast, consider that if a print magazine buys an article, you can assume that at least 100,000 subscribers read or skim your piece. Finally, do you have to start with articles? No, you don’t, but it’s an easier way to learn the business as well as provide the opportunity to improve your craft. Sometimes the easy and the wise way are the same. How do you know you have an idea that interests enough people for a book? A few years ago a publisher turned down my book called When Someone You Love Has Alzheimer's. They didn't think the market was big enough. I contacted another publisher and I pointed out a number of statistics, such as that doctors diagnose five million people each year with Alzheimer's; however, my point was I wanted to reach the friends and family members, not those with Alzheimer's. That expanded my potential audience four or five times. The second publisher bought it and a third publisher asked me to write a gift book for 2011 release, When Someone You Love No Longer Remembers. That leads me to an important reason for articles first. We can assure ourselves we have an audience for the topics about which we choose to write. If magazine editors buy the articles and if readers respond positively, we know we’re moving in the right direction. Further, once we start publishing in an area, we link our names with specialized topics and that makes us experts. For example, I wrote five articles about getting, working with, and firing literary agents. Two different compilers of books for writers asked me to write an article on agents. The Christian Writers’ Guild hired me to write a 2,500-word study about agents for one of their on-line courses. Another publisher hired me to write a booklet on the topic. I received invitations to speak at conferences and they frequently asked me to speak about agents. Those same conferences provided opportunities to pitch book ideas to editors. Why did they ask me to write or speak? Was I the most knowledgeable person around? No, but the editors knew I had published several articles on that topic. In their thinking, that made me an expert. Become an expert in your field. You can do that by publishing articles on your specialized topic. "Few people want to apprentice in this business," one editor said. "They want to jump on the bestseller list. A number of the successful writers in this business began by writing and editing magazines." With that as background, here are reasons to start with articles before we try books. 1. Once we’ve had short pieces published, we have writing credits. We’ve entered professional status. Prior publishing impresses book editors and implies that we we're ready for the next step. 2. If we focus first on short pieces, the books we finally write will probably be superior to anything we could have written in our earlier days. Perhaps it helps if we think of a book as a series of articles tied together by a common theme. 3. Articles take less time to write and we get feedback faster. It's easier to handle a rejected article on which I spent three weeks than a book that took me two years to complete. A willingness to start at the beginning and learn marks the true professional. When do you jump from articles to books? I don’t know the answer, but here are my ideas. 1. You need to establish your expertise in one area. Once you’ve published 10 short stories about romance or espionage or you produce a dozen nonfiction articles on marriage or saving money, you’re probably ready. You are then an expert on the topic, even if you don’t feel like one. 2. For magazine articles, you have to do nothing; for books, you have to do everything. That is, you must promote your books. The more connections you have and the more experience you have in publishing, the easier it is to promote. 3. You must convince book editors that you know your area and that you have connections to promote your books. As you publish articles, you’re learning the craft; as you associate with other writers, you widen your circle of influence. Speaking engagements are excellent. Consider joining Toastmasters or a professional speakers group. Learn the craft and learn how publishing works before you try to get a book published. Publishing articles will help you gain credibility in the marketplace. You also show that you have learned the skills required for a magazine piece. That moves you from amateur to professional. • You can write to a specific word length. • You can deliver the article on the deadline. • You can handle rewriting the article if requested. • You're committed to writing and you want to grow. Like many professionals, I started with articles and wrote my first one 18 times before I sent it out. Fourteen of those times the piece went through my editing group, the Scribe Tribe. Within a month after sending the first article, I received a check. As I continued to write, sell articles, and received a few rejections, I also began to understand how publishing works. It still amazes me that want-to-be-successful writers get an idea for a book, write the entire manuscript, and haven’t learned the craft. Often they don't even know what professionally written manuscripts look like. Writers want editors to consider them professionals. Professional writers prove their commitment by their knowledge of the craft. "Is it necessary to write articles first?" I often hear that question at writers conferences. Necessary isn't the word I'd use; I'd say it's wise to begin a writing career with writing articles (or short stories). No matter how well we write, none of us comes into publishing fully equipped. We need to master techniques and learn skills. Too many writers want to start with a book and become famous. They don't have enough experience to know how badly they write. That is, they haven't proven themselves. I’ve discussed this with a number of book editors and a few agents. Without exception, they urge writers to learn the craft and usually add, "The best way to learn is to start with shorter pieces." The first question an acquisitions book editor often asks a prospective new writer is this: "What have you published?" If you answer, "Nothing," you've already given your material a negative impression. You can overcome it, of course, but it's better to be able to say, "I've published 12 print articles and had 10 stories in ezines." Start by writing short pieces is good advice. Last words on first words. One way to learn to write good beginnings is to see how the professionals do it. Although some do it better than others, I learned a great deal about beginnings by reading only first paragraphs of half a dozen books every day for a week. • What makes the opening strong? • Does this paragraph fulfill the three purposes? • How could I have made the beginning stronger? Wise writers willingly learn from the best. A few years ago, I read more than one hundred entries for Christmas Miracles, a compilation book. The major flaw in at least a third of them was that they told us the ending before they told us the story. • "The worst Christmas of my life became the best Christmas ever." • "I want to tell you about the Christmas where I became aware of my self-centered attitude." • "I didn't want to put my last five dollars in the Christmas offering but I did and God rewarded me on Christmas Day." You might be curious enough to read on, but you know the outcome, so why bother? Good beginnings grab us, take our hands, and lead us to a satisfying ending. The story is even better when we (as readers) don't see the ending until near the end. That's called suspense. Start with a problem. Unfold it by making us care while the protagonist goes through the struggle. When it appears that the person will lose her job, his wife will leave him, or the bank will foreclose, we bring in the event that changes everything. In the old westerns, the heroes are fighting outlaws and are down to their last four bullets. They're ready to die (never surrender), but just then, one of them yells, "What's that?" It's the distant blaring of the cavalry trumpet coming to their rescue. That ending is too clichéd to use today, but the principle still works. Hold the miracle or the turning point until the last possible moment. Good writing presents a problem and withholds the solution until the last moment. How long should a beginning be? I often hear that question. My answer is: As short as possible. Some experts say not more than 100 words (about half a manuscript page). Instead of focusing on length, concentrate on it being easy to read and quick to absorb. Give us enough words to pull us into the writing. Hold back nonessential information. When I browse a book or a magazine, I'll give the writer the benefit of one paragraph. If I'm not at least mildly interested, I stop. I always have a stack of reading material at my desk—more than I'll ever read—and so do many writers. I want my reading to be pleasurable and I don't want to work at reading. For instance, two days ago I started to read a blog entry where the writer tells about an emotional experience while watching a film in a theater. Before she grabs us with the experience, in the first paragraph she writes about the price of the ticket and that she doesn't usually attend action movies. I shook my head. Those two things may be important to her (spending money and justifying attending a film) but not to readers. I lost interest. Beginnings contain only essential information to draw readers to the material. Are those purposes also true in fiction? If we’re writing fiction, we need to remember the principles I've mentioned in previous blogs. And there is more. In fiction, we need to insert other elements close to the beginning. We introduce our major character as early as possible. Unconsciously, readers identify with the protagonist—male or female—because reading is a vicarious experience. For ten minutes or ten hours we become someone else as we turn pages. Be sure to make the time period clear. Unless you tell us differently, we'll assume it's the present. But don't have people fight with swords or radioactive beams without making readers know the era. Don't underestimate the importance of place. We're all creatures who occupy space on the earth and we want to know where a story takes place. Place is like an anchor. Once we know we're in Sydney, Australia, or Rye, New York, we can enjoy the story instead of wondering, "Where is this taking place?" Good novelists know the important elements of a superb beginning—and they include them. On our first page we make a contract with readers. We’re saying, "If you’ll invest your time in reading me, I’ll make it worth your while." Whatever we promise in the beginning sentence we need to deliver. In my article on health that began with the question, "How long do you choose to live?" I offered 1,200 words on how to make better choices that affect our health and longevity. The first sentence also shows the tone or style of the material—the voice we’ll use throughout the article or chapter. If it’s humor or a light touch, we need to make it obvious and stay with that tone. If we want to write with a more somber tenor, we need to start that way. Here are four made-up beginnings that express different styles. Which voice is closest to yours? • Eight years, 49 diets, and 900 pounds ago I decided to get serious about my weight. • What should we, as Christians, know about the Bible? What information do we consider essential to make us well-read and informed believers? • Prayer is either a problem or a source of power. We can view it with doubt or with quietness. • Who is the addict? I observed behavior patterns of three individuals, all productive, who work in my office. I'll explain their behavior and you decide who is the addict. I show the same voice throughout the writing. Instead of focusing exclusively on snagging attention, we need to incorporate all three ideas. Try to make it happen in the first sentence and certainly by the end of the second paragraph. If we don’t, we evoke yawns or rejection slips. Here are two examples. This is the first sentence of a nonfiction article on health and nutrition I wrote several years ago: "How long do you choose to live?" In those seven words, I incorporated all three purposes. First, the sentence grabs readers’ attention by causing them to think. Second, it implies a problem. That is, we have to make choices about the quality and length of our lives (and the next two paragraphs reinforce the idea). Third, we assume readers care about how long they live. Those three principles may not be obvious to readers, but they need to be in the mind of the writer. He was molested—or at least you suspect he was. That means he was victimized by someone older and more powerful than he was. He is someone you care about deeply, and because he hurts, you hurt. The beginning grabs attention and lays out the problem of male sexual abuse. The final sentence makes readers care about a man who hurts but it also enables readers to face their own pain. Readers are more interested in themselves and their needs than they are in us and what we want to tell them. Thus, we write to answer questions or explain issues. each time they begin a writing project. How do I know where to begin a manuscript? No single answer works here. The best advice is to start at a point of tension. Throw me into a story or an article that pulls my emotions or my curiosity and makes me want to know more. The best way to show this is to mention a book I wrote in the early 1980s called Woman on Death Row. Where should I start? I asked members at a conference and received many answers: At her conversion? At the moment she receives her lethal injection? When she poisons her first victim? When she hears the death sentence? Any of them might have worked. I opened the book when the sheriff comes to arrest Velma Barfield. The book goes about 80 pages before readers realize she committed murder. I reasoned that if they thought she was innocent, they'd be more interested than if I started with her death or the pronouncement of a sentence. First rule: Start at a high point of tension. Begin where you can pique readers' interest. You can always go backward or forward once you hook readers. Second rule: Start with a sympathetic character so readers can identify. (I mentioned this in a previous blog.) We can identify with Velma because we care about her predicament. We like her. Haven't most of us been accused of things we didn't do? I expect many of us have fantasized how we'd respond if someone accused us of a major crime. but choose to start with drama. What makes a good beginning? I started thinking about the question of beginnings at a writers conference in 2002. For seventy-five minutes I listened to the instructor teach on first paragraphs for a story or an article. I liked much of what he said; however, he didn’t say enough. He emphasized the need for what he called a hook—a grab-me beginning. At thirty minutes into his presentation, he said, "Now you’re going to write a first paragraph." He gave us an idea that worked for fiction or nonfiction. We had ten minutes to complete the assignment. When several read their pieces aloud, the instructor grinned often because they had grasped what he meant. Most of them wrote provocative beginnings, but a few of them did more than grab readers’ attention. My biggest objection to his lecture was not what he taught, but what he didn’t explain. He implied that if writers had a powerful hook, that gimmick was all it took to get an editor to buy. Even though the lecturer had published four books, he missed the purpose of good beginnings. They are more than just gimmicks to grab attention. I'll tell you more in my next blog. Clever beginnings aren't enough to sustain an article/chapter. What’s so important about how we start an article or a book? I can give the answer in one sentence: We must earn the right to be read. It’s that simple; it’s also that difficult. For me, the most difficult part of any piece is the first sentence. If readers don't like the invitation to read, they'll close the book or click on a different site. All of us have different methods of writing, but here's my one immutable rule: I don't start writing a manuscript until I know the first sentence. I may edit those words and change the structure of the opening paragraph five times, but I know where I want to start. If I know where to begin, I can plan where I want to go and how I'll get there. I rewrite those first words more than anything else. For example, I’ve already rewritten the first sentence of this blog entry six times and I may revise it again before I finish. Good writers earn the right to be read. I've often heard writers speak about reading their work aloud before sending it off. I disputed that advice and said, "I hear it inside my head." This is my confession that I was wrong. I recorded five radio scripts for the publisher of Not Quite Healed. The publicist chose segments for me to read in 35–40 seconds. As I read in preparation, I was shocked at some of my bad sentences. I understood them only while reading them aloud. Here are two that I'm embarrassed to have written. First, it's a good thing I didn't see everything in the beginning . . . Notice the double thing, and I started with a weak it's. It would have been a better sentence if I had written it this way: I didn't see everything in the beginning, and that was good." In another script, my sentence read, "We lived with our hidden anguish for years." Not a bad sentence, but it has the wrong emphasis, so I changed it to read: For years, we lived with our hidden anguish. my ear catches what my eye misses. When you begin a sentence with a modifying word or phrase, the subject of the sentence is what must be modified by that word or phrase. A “dangling modifier” is a phrase that does not clearly and sensibly modify the appropriate word. EXAMPLE #1: Changing the oil every 3,000 miles, the Mustang seemed to run better. EXAMPLE #2: Walking to work, the eucalyptus trees reminded Lynette of Brandilyn Collins’s latest novel. EXAMPLE #3: Slamming on the brakes, the car swerved off the road. EXAMPLE #4: Six months after attending the writers’ conference, Gail’s article was accepted by a publisher. Be sure the action in the modifying phrase can be accomplished at the same time as the action in the rest of the sentence. EXAMPLE: Hugging the postman, Delilah ripped open the box containing her new novel. The position of a modifier determines what thing or action is being modified. EXAMPLE #1: Sharon sent out a proposal for her book on living with horses last week. EXAMPLE #2: The editor told me on Thursday I have a book signing. Used by permission and reprinted from www.kathyide.com. —Kathy Ide, author of Proofreading Secrets of Best-Selling Authors and the editor/compiler of the Fiction Lover’s Devotional series, is a full-time freelance editor/writing mentor and teacher. She is the founder and director of the Christian Editor Connection and The Christian PEN. 1. Successful authors write marketing copy that effectively answers the reader's ultimate buying question, "What's in it for me?" 2. Successful authors develop their own voice and look for ways to be contrarian. They don't try to make everyone like them. 3. Successful authors build a distinct brand that's memorable and helps them stand out from the crowd. 4. Successful authors err on the side of over-communicating with their readers, because they know it's a sin to under-communicate. Out of sight, out of mind. 5. Successful authors spend the money to create a professional website. Then, they spend their time on a few marketing activities that generate book sales and do them religiously. 6. Successful authors will attempt new marketing tactics. But, if something doesn't work, they shut it down and try something else. Yet, they never completely shut down and do nothing at all. 7. Successful authors never get on a stage or get in front of a microphone and attempt to "wing it." Rather, they practice out loud before giving a media interview or speech. 8. Successful authors build alliances with large organizations by helping to promote other people's material first. Their unselfish behavior opens the door for others to return the favor and provide access to new audiences. 9. Successful authors know that there isn't much money in books. They think beyond the book and create lucrative spin-off products, such as seminars, training, video curriculum, consulting gigs, movie rights, etc. 10. Successful authors never take a break from building their platform. Their energy level may ebb and flow, but they're always adding more people to their email list, speaking in public, pursuing media interviews, asking for referrals, etc. Which of these 10 traits or behaviors do you need to implement today to be more successful? Accept your unique approach – I worded it this way intentionally to use the word “accept.” You know what your unique style is, but the creative lobe in your brain fights it. You are a researcher, an explorer, an encourager, and a forgiver you know who you are. It could be the exercise of your God-given spiritual gift in writing. If you know your spiritual gifts, you know your creative approach. Easier said than done, but not impossible. If your dominant spiritual gifts are teaching and encouragement, then this is your unique writing approach…to teach and encourage. Accept it, don’t fight it. Accept the fact you probably have one primary core message – this is actually quite liberating. Much of publishing is writing the same core message to different audiences. Once you accept you have one core message, accept the challenge of communicating the same thing to different people. The vast majority of authors will publish three or fewer books in their lifetime. Accept the reality your author-window is relatively brief and highly focused. Accept the fact you will be limited – unless you are a one-in-a-million writer (or self-published) you will not be known for writing novels, narrative non-fiction, cookbooks, text books, kids books, picture books and coloring books. Accept the fact you will be known for one thing…one type of writing. Accept input from others – Your first book was your idea. Probably number two was pretty much your idea. Others might heavily influence your third book. You need to make sure it fits with your unique approach and core message, but when publishing people and readers start suggesting a direction for number three, you might do well to listen. Accepting suggestions does not make you less of an author. It makes you a willing participant in communicating to others through the written word. So, are you a professional writer (published or unpublished) or do you want to get a book published? There are more opportunities (and more agents looking for you) for the former than the latter. Reprinted by permission. This first appeared on The Steve Laube Agency blog. The purpose of the question is to elicit a response to get an idea if the author is interested in being a professional author or simply publishing a book. Those are different goals entirely. Agents mostly represent professional authors, not books. Agents are “in this” for the long term so we look for authors who are as well. You can understand how someone trying to get a book published with no plans or ideas for what happens next will find it difficult to find an agent, much less a publisher. So, what is your third book? The question is intended to uncover your strategy. Your second book might be relatively easy to determine, but book #3 takes some thought. The first time I encountered the implications of this was about 25 years ago when an author wrote a book, which sold pretty well. So well, in fact, the publisher offered a multi-book contract for subsequent titles. The author could not deliver book two. For the life of them, they only had the one idea. They burned off all their thinking in the first book. Re-shuffling chapters and re-stating concepts from book #1 did not constitute a new work. After some time, the book contract was cancelled and advance money repaid. It was painful for everyone. If the author and publisher had thought about a third book, they probably could have determined rather quickly there was no second book. So how do you develop a writing strategy? First, you need to know what it is not. It is not a test of your creative ability. It is not a test of your writing ability. It is not a test of your value of your message. 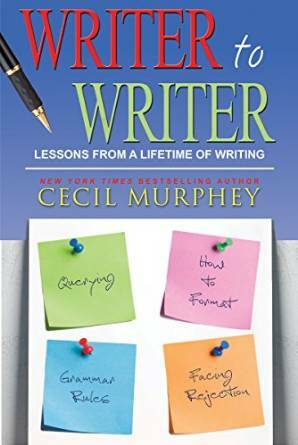 Developing an extendable writing strategy so you can write more than one book is a function of whether you know who you are and where your limits are drawn. You know your own unique approach. You have an audience in mind. You have a core message in everything you do. You’ve all heard something about developing a brand. One of the “dark” sides for creative people of developing a brand is the concept of intentionally limiting creativity. Brands are the creative boundaries you stay within. You cannot become well known for something unless you are known for something. It seems counter-intuitive, but creativity flourishes inside boundaries. Outside the boundary are random thoughts and confusing plots. Structure provides clarity for the author and the reader. It is similar to knowing the size of canvas you are painting. Reprinted by permission. This first appeared on The Steve Laube Agency. 6. Try online connections. If you have difficulty speaking in public, this could be a big, initial step toward promoting. You build confidence in yourself because you can hide in front of that monitor. Later, when you meet people you’ve contacted online, it’s easier to open up and build up even more self-confidence. 7. Send out press releases or letters of introduction. Follow up with a phone call (or have an extrovert do that for you). You probably do well on writing letters; now you need to develop the ability to make those phone calls. 8. Remind yourself that the more you promote, the more comfortable it becomes. Sheila Seifert wanted to teach at writers conferences, so she sent out publicity about herself to 50 conference leaders—and that was an immense stretch for her. One conference director invited her to teach. She did well and that opened other doors. I am the best one to promote my book. If I don’t promote my book, who will? My friends can help, but it’s still up to me. Promoting gets easier with practice. For you introverts, here’s more help. 4. Focus on your message (or book) instead of yourself. “My message motivates me to get out of my introverted comfort zone,” Jim Watkins said, “because I remind myself that the word message begins with me. If I feel that I have written something important and helpful, I have to market it, give radio and television interviews, and make personal appearances. No one else is going to champion my work or my perspective with the same passion and excitement. Read everything possible about promotion. Watch the experts and observe what they do that will fit with your personality. Ask a few extroverts for tips. You may be amazed at how willing they are to share their insights and techniques. Years ago on a writers loop, at least ten people presented their best tips for successful marketing. As I read them, none of them fitted my personality. And I felt terrible for not liking them. Then this thought hit me: They’re doing all those marketing activities but none of them are successful; I don’t do most of them, and I’m successful. Read and listen. Accept what feels right to you. Here’s more help for introverts to learn to market. 2. Align yourself with an extrovert. When you have an opportunity to do a booksigning or a speaking opportunity, get an extrovert to participate with you. With someone beside you who talks readily, you can forget your discomfort. Choose your extrovert carefully, otherwise you may be overwhelmed and feel you can’t compete. You don’t want to hide. Ask your friend to help you open up so you can learn to be more comfortable. Let the other writer help you speak up. 3. Allow your extroverted friends to help. Why not? That’s not a big step for them. Want to teach at a writers conference? Ask a writer-friend to recommend you. If you can’t make cold calls to set up interviews or book signings, hire a publicist or find a friend who’ll volunteer. Let that never-met-a-stranger type pave the way for you. When Judson Knight was a college student, he picked up a famous comedian at the airport and drove him to the college. On the half-hour trip, the man made no responses longer than three words. After Judson escorted him to the college auditorium, the comedian walked on the stage, slipped into his role as funny man, and soon everyone was laughing. Someone else had set up the engagement for the joke teller. The comedian wisely functioned in a role he could handle. Some extroverts can walk into a bookstore, a party, or a conference and hand out their business cards, bookmarks, or postcards with pictures of their latest book on them and breeze through the whole building. If that’s a natural for you, do it. If not, figure out what does work. If you’re an introvert, instead of feeling guilty for not being able to function like extroverts, here are a few promotion tips that can help you catch up—and maybe bypass those people-persons. 1. Be yourself. You get into trouble when you try to behave like an extrovert. It’s not a natural role; you’re awkward, and it shows. Don’t try to be who you think you ought to be. For example, I used to teach a study group. On occasion when I couldn’t be present, I had two substitutes. One time Gene* taught. His material was fine, but he tried to imitate my style by doing things he had seen me do. I got a laugh out of self-deprecating humor; Gene received dull stares. The reason was obvious: He was trying to be someone else and not himself. If you try to imitate, you may fall into self-defeating behavior or stir up feelings of inferiority. He also said that he has learned to handle media interviews because of the one-on-one nature. However, he sends the host a set of questions (and hopes the interviewer will use them). Try to be the best you. Why, I asked myself, can some people promote effortlessly and others cringe? It helped me by considering the difference between introverts and extroverts. I’m aware that there are many issues involved, and I’m also cognizant that most of us can shift from one mode to the other, but let’s think of this as referring to our natural preference. What I write below refers to the ideal introvert or extrovert. Most of us have some qualities of the other preference. I’m an extrovert, but my tree leans into the introverted yard. Thus to use a simple definition, introverts find energy within themselves and are more comfortable when they can spend time thinking and feeling. They prefer to reflect before acting. Extroverts are energized by the outer world and prefer to communicate more by talking than by writing. It works this way. Both types attend a party. After half an hour, the extroverts are still moving around, talking, and feeling stimulated. At the same party, introverts move into a corner with one or two people. They already feel drained and wonder how long it will be before they can leave. If these are natural preferences, how does this affect the way the two personalities promote their books? Extroverts start with an edge because they’re naturals. Being outwardly oriented, it’s easy for them to talk about what excites them—their books. They also tend to develop networks easily and reach out to strangers at booksignings or conferences. Introverts start at a disadvantage, because they’re not as likely to push promotional ideas, make cold calls, or gravitate toward strangers in the bookstore. Once they shift into their role of talking about their books or being interviewed, however, they can run alongside their counterparts. Ruthie Denise asks a significant question: How does a shy person who can’t talk much write? It may surprise Ruthie, but many writers tend to be introverted and often shy. They can’t readily talk about their writing and hesitate to ask questions. If you truly believe you are meant to write and share your heart, you’ll have to learn ways to do it. Some of the best writing I’ve encountered comes from reclusive types who aren’t articulate in person and don’t fit well with large groups of people. Write anyway. Books, magazines, and even attending writers conferences can be your way to publication. If you’re asking about promoting your work, see my next blog entry. Here’s more on the topic of rejections. Newer writers take all rejections personally as if the editors and agents dislike them. It’s a business decision. Finally, if you’re serious about writing, be patient and persistent. Those who succeed keep at it for years despite rejections. Remind yourself that all writers (good and bad) have their work rejected. Like it or not, it’s part of being a professional. A simple statement but true: What one editor hates, another loves. Don’t accept editors’ words as infallible. They’re not always good critics. Their comments are often hastily written (if they write anything) and without much thought. Finally, never call or write editors to argue the merits of a rejected piece. Instead, use your energy to send the manuscript to other publishers. New Writers Don’t Understand Rejection. Receiving nonacceptance responses comes with learning how to be a professional, published writer. Wrong publisher or wrong topic. They send a novel to an agent who represents only nonfiction writers. Or they write a political piece for an ezine that only wants personal experiences. Wrong slant or treatment. They may correctly send a manuscript on the right issue or theme, but take the wrong approach. For example, they might make a case for euthanasia for a publisher who takes the opposite perspective. Wrong approach. That usually means their piece isn’t distinctive enough. The material reads like 35 other such submissions. Today’s editors want a distinctive slant to everyday problems. Poor writing. Poor grammar, unclear thinking, an illogical presentation. That makes a strong argument for working with other writers. Unprofessional looking. Publishers have standards for all manuscripts they receive. And they’re easy enough to learn and are usually published on their website. The publisher recently did something on that topic or assigned it to a professional writer. What other mistakes do writers make? 16. They expect immediate success. They don’t prepare for rejection. How few realize they have to build a writing career by starting at the bottom and slowly learning the craft and the business. So many things they don’t know about publishing can only be learned by experience. They need to learn the rules and then know how and when to override them. The best writers develop their own style and sometimes call that finding their voices. It takes years for that to happen. Being devastated by rejection is probably the biggest problem and the most difficult to overcome. I’ll write more about rejection in my next blog entry. Here are more mistakes authors make. 15. They Don’t Grow Spiritually. I’m not just throwing in religious jargon, and I think this applies to everyone—Christian or agnostic. It means we offer ourselves to others and give what we can. I believe there is a rule of the universe (as a Christian I’d say God) that the more we give to others, the more we receive. I’ve made a living as a fulltime writer for more than 30 years. I’m convinced a major reason is that I continue to grow and share what I have. 14. They Don’t Grow. Most authors will deny that, but when I read what they’ve written I don’t see much difference from book to book. If we’re growing, our writing quality keeps up with us. We need to learn and keep on learning. Make it your goal to be the best you can. 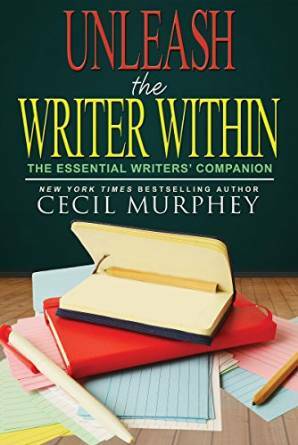 I don’t expect to be the most celebrated writer of my time; I do expect to be the most celebrated Cec Murphey I can be. Here are a few suggestions to help you improve. Join or form an editing group. Editing groups edit, which is why I use the term. Pay attention to the suggestions from others and surprise yourself with how much you can learn. I stayed with my editing group, the Scribe Tribe, for nine years. Even though most of them knew less about publishing than I did, I still learned from them. Covenant with at least one other writer that will push you—not to finish a book or article, and not to get it sold, but to make each piece the best writing you can do at this stage of your development. Pray every day for God to help you improve. If you’re not a serious writer you’ll stop praying. If you are, it will become a part of each day. And even if you don’t believe in prayer, call it self-talk because what we say to,ourselves and continue to say to ourselves helps us fulfill those words. I don’t ever expect to feel fully pleased with my writing. I know I can get better. Here are a few more mistakes authors make. 13. Writers don’t constantly study the markets. They tend to listen to what others tell them without trying to verify for themselves. With permission, I’m reprinting “Top 10 Myths Marketing Executives Believe” from Rob Eagar’s blog, “Monday Morning Marketing Tip.” Most of this applies to authors. 1. Myth: Heavy buyers are more important for sales growth than light buyers. Truth: The best way to grow sales is to attract more light buyers. 2. Myth: Clever advertising is the best advertising. Truth: Effective ads always show a brand’s distinctive assets. Cleverness is a bonus. 3. Myth: Social media marketing trumps email marketing. Truth: Email is 40X better at acquiring customers than all social media combined. 4. Myth: TV advertising is dead and too expensive. Truth: TV still draws the widest audience and ads only cost around $.02 per person. 5. Myth: Social media is great because it’s free. Truth: Facebook users must pay money to reach 80% of their own audience. 6. Myth: Cross-selling to current customers is the fastest way to grow revenue. Truth: Cross-selling is hard because customer loyalty is lower than marketers think. 7. Myth: Giving away free content will cannibalize sales. Truth: Offering free content is a low-cost effective way to gain new customers. 8. Myth: It costs 5X more to acquire new customers than selling to existing customers. Truth: Focusing on customer retention over acquisition will destroy a brand’s growth. 9. Myth: Heavy buyers spread more word-of-mouth than light buyers. Truth: More of word-of-mouth comes from enthusiastic new buyers, not old buyers. 10. Myth: Wildfire Marketing only works with authors. Truth: Wildfire Marketing currently consults with $100+ million corporations, large non-profits, major publishing houses, and top-tier authors to help grow their revenue. 12. They refuse to learn from the best. Go outside your chosen field and read anything that grabs you. I write primarily nonfiction, but I read as many novels as I do anything else. I’ve never written for teens, but I like many YA novels. As you read widely, take note of writers whose style or word usage grabs you. Imitate the writers you admire. A quarter century ago I discovered Dean Koontz and tried to read everything he wrote. (I no longer read him because I think the quality of his work has diminished.) Back then with Koontz and other authors, whenever I read sentences that struck me as excellent, I copied them in a file. Then I’d rewrite their sentences, using their style, and change it to make it sound like Cec Murphey. I learned so much from other writers that way. Along with that, I began asking, “Why does this writer speak to me?” Some authors get rave reviews and I read them and can’t understand the reason. Part of it may be preference or taste. But another reason is that I try to be sensitive to the style, voice, and tone and respond positively to those who speak to me. Too many read for information or entertainment (certainly not wrong), but they pay no attention to the craft. A film from 2000, Finding Forrester, illustrates the value of what I’ve written above. A gifted young black student, Jamal (played by Rob Brown), meets the reclusive Pulitzer Prize winner, Forrester (Sean Connery). Forrester gives Jamal some of his own articles to rewrite and then he is to go on to make the manuscript his own work. Imitating can be a learning tool. This doesn’t mean plagiarize. The young man’s experience of starting with the master and moving into his own words was a powerful experience for him and, in the film, he becomes an excellent writer. Here are a few more mistakes that writers make, even published authors. 11. They don’t read enough. Words are our tools, and we need constantly to improve our ability to handle them. Especially fiction writers trouble me because they tend to read only books within their own genre. That’s why so many novels have the same sound. My advice: Read as widely and as much as you can. When I was still in graduate school I promised myself that I would read at least one book a week for the rest of my life. One week I may not read much but will go through two or three books the next week. Here’s a wonderful tip I received from Carmen Leal at least a dozen years ago: I take note of the best-seller lists. FYI, the New York Times weekly list shows books by categories such as fiction and nonfiction. The USA Today lists 50 best-selling books and tracks by sales. I read both lists each week, mark those I think will be of interest and order them from my county library. My rule is that if I’m still reading after page 40, I buy the book from a bookstore or online. Not only have I discovered many new writers (new to me), but I’ve been enriched by reading in many fields. 8. They Accept Writer’s Block. Writer's block is a temporary or chronic inability to put words on paper. It’s an aggressive reaction—a loud shout from your unconscious—calling your attention to the fact that something isn’t right. When you try to write against your own values, deep within, you know it’s not right for you to do. So why wouldn’t there be an inner resistance? Instead, I remind authors that creative discipline grows out of enjoying what you’re writing. You need to like yourself and be able to enjoy opening your inner being for others to see who you are. Some would-be-writers seem to think they impress by using esoteric words. You might impress others that you have a vast vocabulary, but why would they care to read words they don’t know? I keep hearing the advice to use strong verbs and powerful metaphors. My advice: If that’s the way you talk and think, okay. But most of us don’t. I like small words because I know that even the most uneducated can understand. It’s not condescending (I’d usually say it’s not dumbing down), but it’s communicating with commonly understood words. 10. They don’t understand verb tenses. Pick your tense and stay with it. We do most writing in the simple past tense. And if you want to mention something that happened before that simple past tense, we use the past perfect. Example: Before Evan came, I had insisted that all the children leave. That is, I got rid of the kids before the arrival of Evan. 7. Their writing drags. This is no longer the day when readers will allow people five pages to get the protagonist out of bed in fiction. Nor will they slog through four pages of philosophical ideas that prompted them to write their nonfiction ideas. We live in the digital age and you need to keep the prose moving. Elmore Leonard once said he left out the parts that most people skip. Here are my suggestions for picking up the pace. Don’t play cute and delay giving the information. If it’s a how-to article or book, start right off with answering how to accomplish the task. Don’t explain too much. The more inexperienced the authors, the more they tend to state the obvious. Keep sentences and paragraphs short. Leave plenty of eye space. Start with action/drama—something actually happening in the first paragraph. Cut dull, information-only scenes. Either let the characters mention those issues or give it to us briefly—very briefly. Don’t slow down your pace with backstory—telling what happened to a character in the past. Make the end of every scene and every chapter conclude in such a way you entice readers to keep turning pages. 4. They Don’t Follow Guidelines. Every publisher has what we refer to as guidelines, which is a soft way of saying, “Follow these rules.” Beginners make mistakes such as single spacing manuscripts, no headings, no page numbers, or wrong font size and improper format. Publishing has a standard format for submission. For book publishers, the rules appear in The Chicago Manual of Style, which is updated irregularly. Most magazine publishers use The Associated Press Stylebook. Think of your proposal for a book or query about an article as your resume. You want to present yourself in your best light. It takes little effort for editors to see when the prospective authors haven’t followed the guidelines. Most of the time, those manuscripts get rejected before the editor finishes reading the first page. 5. They Bore Readers. Too many bad manuscripts come from people who think editors are yearning to clasp every word they write. They need to turn that around and realize they have to persuade editors to read them. I often say it this way: We have to earn the right to be read. From the first sentence, they need to pull readers into their prose. Whether they seek to entertain or to teach, people read because of their perceived needs. Savvy writers focus on bringing solutions or answers. I understand their use because most newbies hear the emphatic sentences inside their heads, so they end with an exclamation point. I suggest that they never use the exclamation mark unless readers won’t understand or they really do want to shout. I think of it as the mark of the amateur. Further, it’s never correct to use more than one ! or ? Linda Rodante says, “I see a need for a general help for newbies.” She suggested what not to do to avoid sounding like beginners. Here are my suggestions, and I’m sure there are more. 1. 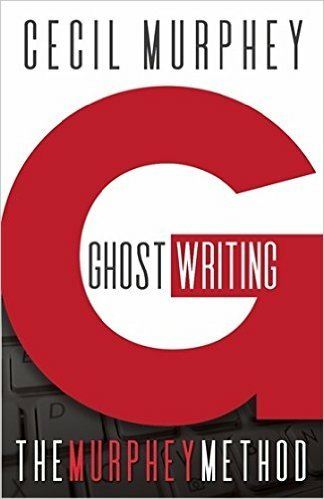 Novice writers don’t know who they are and what they want to write. Serious writers learn about themselves as they write, frequently examining their motivation. They may try several topics and genres, but they don’t seem to realize the areas where they have the experience, interest, and knowledge. Too often, they write on something that’s popular or what they think will sell. Unless writing comes from the inner person, it’s not authentic writing and too few tyros understand that. Professionals of all types know their tools, and part of being a professional writer is to work on grammar. Or if they just can’t get it, they can hire editors to go through their manuscripts before they try to sell them. Writers are expected to know the difference between “there, their, they’re,” “to, two, too,” “it’s, its,” and “your, you’re.” These fundamentals were taught in grade school. 3. Beginning writers’ manuscripts are filled with typos. All writers make typos, but the pros don’t submit sloppy work. The manuscripts reflect the writers, and it’s easy for publishing houses to reject such error-filled prose. Why buy lousy work when there are so many good writers to choose from? 11. Most people think writing for publication is easy—until they try doing it. Writing books (especially novels) takes a lot of time. The process is slow and the results often frustrating. The rewards are few (and financially miniscule), considering the number of hours required to do it well. A tiny percentage of authors actually make a decent living at it, and that only happens after years of unrewarded toil. The only people who make it in this business are those who love it so much they can’t imagine doing anything else. This entails their platform—their social network, the number of meetings they hold, and the people who attend. Also they want to know topics the authors are uniquely qualified to talk about at speaking engagements, book signings, and media interviews. Publishers expect authors to have websites and to send out promotional materials to potential buyers. For those not comfortable with public speaking, becoming published book authors may not be right for them. 8. Writing is powerful. When people read books, their minds are often changed, if only by being expanded. Readers’ outlook, attitude, and perspective are affected by what they read. A successful book can reach thousands of people. A magazine article, however, may be read by millions. If aspiring writers desire to have the greatest impact with a particular message, they can do so more efficiently with articles than books. 9. Writing is long lasting. Although millions of people will read magazine articles, few of them keep the article for any length of time. Books, however, last virtually forever. Few people throw books in the trash. Most put them on shelves or give them away. Therefore, aspiring writers need to learn the craft on smaller pieces that will be thrown away by everyone except the writers and their immediate families. Writing will improve over time—if they put in the effort—and they’ll likely be embarrassed by earlier attempts. 10. Writing isn’t for everyone. Yes, it is a skill that can be learned, but it’s also a talent to be nurtured. All individuals have their unique talents. Not everyone has an innate talent for writing. If they don’t, the best way to find that out is by producing something short. That’s when many want-to-be authors discover they can more easily move on to something for which they have an aptitude. 5. Writing is personal. Before authors send their manuscript to publishers, they need to show it to other people—including friends and family, a critique group, or a professional editor—all of whom will have different suggestions for how it can be improved. Seriously considering the suggestions people give helps writers look at their work more objectively. The manuscript will eventually be sent to an acquisitions editor, who either accepts or rejects it. Far more often than not, authors receive a form rejection letter. That’s the nature of the business. Starting off with shorter pieces helps writers learn how to deal with rejection. Revising those pieces and resubmitting them enables them to develop persistence. Eventually getting pieces accepted helps them to build confidence in themselves as authors. This, in turn, improves the quality of their work. 6. Writing is a profession. Like any other profession, it requires skill, even if only doing it part time or freelance. Learning any new profession requires time, training, determination, persistence, and discipline. This is true of any kind of writing, but more so with books than with shorter pieces, and probably more so with novels than with nonfiction. 7. Writing is a career. Book publishers are not looking for one-shot wonders. They want authors who are serious about their craft and can prove they have the potential to write several successful books. They can’t afford to put their time and marketing efforts into someone who writes one book and then quits. First-time book authors can gain credibility with a publisher by showing a long list of shorter pieces they have had accepted. For those who plan to write a nonfiction book, writing articles about that topic will increase their marketability as book authors in a publisher’s eyes. It can also prove the marketability of the topics. Most people have little idea what’s involved in being a published author. The public thinks it’s merely a question of stringing words into sentences, sentences into paragraphs, paragraphs into chapters, and voila! A complete manuscript. Send it to your favorite publisher, who will print it, advertise it, and place it in bookstores, then get ready for a call from the TV networks. The reality is that being a published author is considerably more complex. Most successful book authors didn’t start out writing books. Almost without exception, they cut their teeth on smaller pieces: magazine articles, short stories, devotionals, play scripts, and curriculum. 1. Writing is a craft. It’s learned by practice. Short pieces allow aspiring writers to gain experience. 2. Writing is a business. Getting short pieces published provides aspiring writers with a résumé to send to book publishers. 3. Writing is an industry. Getting short pieces published helps writers get to know people in the industry and make contacts that will be valuable when the time comes for them to start pitching their book-length manuscript. 4. Writing is long-term. It usually takes months to write a good magazine article, or short story. It takes additional months to find a publisher that will accept it. Then it takes even more months for publication. A book, however, takes years to write, years to find a publisher, and years to get into print. 4. What sales avenues will be available for your book? I used to recommend CreateSpace (Amazon’s self-publishing division) until I realized that books (both print and electronic) that an author creates there can only be purchased from Amazon. And competitors won’t buy books from them. 5. If you want to pay the subsidy publisher for a marketing package, find out what you’re really getting. Will they do anything that you can’t do as well or better on your own? 6. Does the publisher require that you purchase a minimum number of copies? If so, do you realistically believe you can sell that many at a high enough price to recover your costs? 7. Before you sign with a publisher, check Preditors & Editors (http://pred-ed.com/peba.htm) to see if the company you’re considering has earned a positive or negative reputation. For more details on self-publishing options, check out my website, under Helping Writers/Getting Published. If a publisher congratulates you on the acceptance of your manuscript, then asks you to pay part or all of the cost of getting it published, or requires that you purchase a minimum number of books, that’s a subsidy publisher trying to look like a commercial publisher. If a subsidy publisher is a division of a commercial publishing house and claims that your book will be reviewed by the parent company, don’t take that statement at face value—ask for a list of titles that have gone that route and verify it with the authors. 1. In general, you get what you pay for. You can save money if you skip having your manuscript professionally edited and proofread, or if you typeset the manuscript and design the cover yourself. But the final result won’t be nearly as good as if you pay a professional to do those things. 2. When checking out a subsidy publisher, find out all the costs. Does the quote include editing, proofreading, cover design, typesetting, marketing, distribution . . . or are those services extra? 3. Make sure you retain the rights to your work. If your book becomes the exclusive property of the subsidy publisher, you won’t be able to contract with a commercial publisher if one’s interested, or switch subsidy publishers if you aren’t happy with the first one.